Buying by auction is a fantastic way to secure the property of your dreams. They're no longer just for experienced investors looking for their next project, there are thousands of people every year taking advantage of the benefits auctions have to offer. Speed – all our auction properties are offered with a fixed timescale to exchange and complete, meaning you know your moving date from the outset. Security – By paying a reservation fee and/or a deposit to secure the property, the vendor stops all marketing and will not consider any other offers, this gives you the reassurance that you will not be gazumped. Transparency – Auctions are considered as a more transparent way to purchase a property, whether bidding online or at a live in-room auction, you can see the other bids and place your bid at a price you're comfortable with, without dealing with the uncertainty and stress of a closed bidding war. Flexibility – you can bid in our online auctions 24/7, from any devise and anywhere in the Country, meaning you won't miss out on the property you're after. Mortgage – buying via conditional auction offers a longer exchange and completion date than the more traditional unconditional auction route. This gives buyers the flexibility to consider applying for a mortgage, if they wish to do so. If this is the case, we strongly recommend that you arrange for an independent survey to be carried out to ensure the Bank/Building Society will lend against the property. 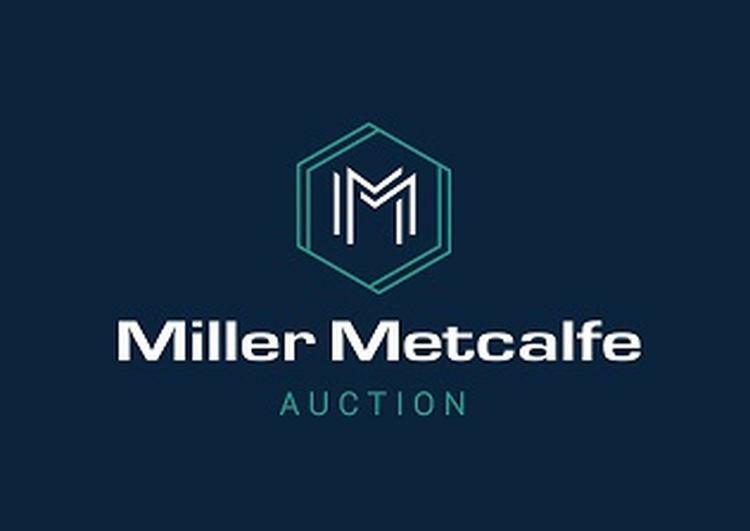 Personal service – our auction experts are available to offer you all the help and guidance you need, to ensure you're comfortable with buying at auction. Please give them a call if you have any questions and they'll happily guide you through the process to ensure buying at auction is the best route for you. What is a conditional auction? At the end of the auction, if the reserve price has been met, the highest bidder will enter into a reservation agreement and will have 56 days within which to exchange contracts and complete. A reservation fee is payable to secure the property. What is an unconditional auction? Contracts are exchanged immediately at the end of the auction, meaning you are legally committed to complete your purchase of the property. A reservation fee and deposit are payable to secure the property and you usually have 28 days to complete. For a conditional auction you will pay a reservation fee of 4.8% inc VAT or 4.2% inc VAT in London, in order to secure the property. For an unconditional auction, you will pay a 5% deposit to exchange contracts, as well as a reservation fee of 4.8% inc VAT or 4.2% inc VAT in London. All deposits are subject to a minimum fee of £5,000. Deposits form part of the purchase price. All reservation fees are subject to a minimum fee of £6,000 including VAT. Reservation fees do not form part of the purchase price. If you fail to complete your purchase for any reason the reservation fee and deposit are non-refundable. If the sale falls through due to the vendor, then the reservation fee (and deposit) will be refunded in full. Why do I have to pay a reservation fee? An auction is a secure way of buying a property and gives you the reassurance that the vendor will stop marketing and not consider any other offers, this means that you can't be gazumped. The reservation fee covers our costs, as the vendor has chosen to sell with no fees however, as a result a lower reserve price is usually set. Properties will be advertised with a guide price, which is based on the seller's likely reserve price. The guide price has to be within 10% above or below the reserve price when a single figure is stated. If the guide price is a bracket figure the reserve price cannot exceed the top end of the bracket price. The reserve price is the minimum price which the property can be sold for, this price is confidential between the auctioneer and the vendor and cannot be disclosed. How long does an online auction last? The properties will be advertised on our website prior to the auction starting as 'coming soon' lots, once the legal pack has been finalised the property will become live. The auction will usually be live for 21 days although this can vary. If you are a successful bidder in a conditional auction, you are obliged to pay a reservation fee and sign the reservation contract. It does not legally bind you to exchange contracts but grants you 56 days in which to exchange and complete. An unconditional auction is legally binding, you will immediately exchange contracts and you will usually be granted 28 days in which to complete your purchase. The completion dates can vary and we recommend you check the legal pack to confirm for each individual property. If you are bidding on an online auction property you must first create an account. This is a very quick and simple process. In order to bid, you will need to be authorised for money laundering purposes, this will be carried out at the registration stage. This check will leave a soft footprint on your credit report (but it should not affect your credit rating). The registration process also requires card details to be entered, however the card will not be processed unless you are the successful bidder. Once you have registered, you will be able to search, download legal documents and arrange viewings. What if the reserve price isn't met? If the property fails to meet the reserve price it will remain unsold. You can contact the auctions team and at this point you'll be able to make an offer which will be referred to the sellers for their consideration. Alternatively, the property may be offered again at a lower price. What if I'm not available at the end of the online auction? If you are unavailable at the time the auction is scheduled to end it is possible to enter your maximum bid in advance. The bidding will still increase in the relevant increments (usually £1,000) up to your entered amount. How do I read the legal pack? The legal packs are available to view by following the link on the individual property page. We recommend that you get advice from a solicitor or legal representative and ask them to read the legal pack on your behalf, so they can guide you accordingly. Buying via conditional auction offers a longer exchange and completion date than the more traditional unconditional auction route. This gives buyers the flexibility to consider applying for a mortgage, if they wish to do so. However, not all properties are suitable for mortgage security and we strongly recommend that you arrange for an independent survey to be carried out to ensure the Bank/Building Society will lend against the property. Can I have a survey? Yes of course, we highly recommend that you have a survey to ensure you're happy with the property and the Bank/Building Society will lend against the property, if required. How do I get further advice? Our auction experts are available to offer you all the help and guidance you need, to ensure you're comfortable with buying at auction. Please give them a call if you have any questions and they'll happily guide you through the process to ensure buying at auction is the best route for you.